People always ask what is the best martial art to learn or what is the most effective martial art in a street fight for self defense. I actually believe there is no definitive answer to that question because self defense situations or street fighting is very different in nature than martial arts competitions. On a street fight there are no rules, there can be one or more opponents attacking you at the same time. There will be no pads or protection gear and it will always be on hard surfaces. Shortly everything is possible in a street fight, period. This is not to say that martial arts are not effective or useful in street fighting, they actually are but if the main goal is learning how to defend yourself in a street fight, then learning a martial art might not be the most effective way. More effectively, there are some styles geared toward learning how to defend one’s self against one attacker or more, Generally known as combatives. There are also some systems like krav maga in which the focus is self defense in reality based situations. 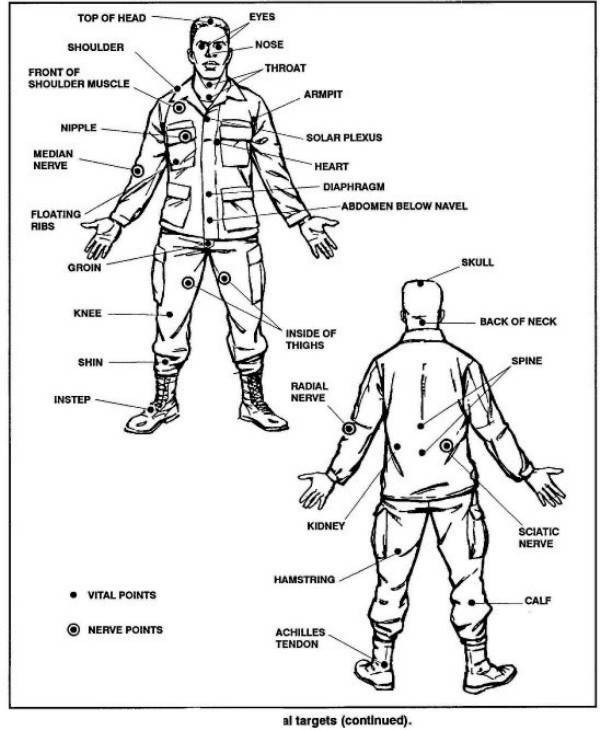 There are also different classes and programs that solely focus on teaching tactical use of different self defense weapons, like folding knives, sprays, electric shocks, short sticks and/or any kind of improvised weapons you might happen to have or find at the time of the attack. There are also different types of self defense keychain. One of them is the Kubotan self defense keychain, sometimes also known as (kabotan,kobotan). It is one of those tools that is very effective when you learn to use effectively according to the situation you might run into. The Kubotan stick is simply a five to six inch long stick self defense weapon and is derived from the Japanese yawara stick. They have some advantages over other types of weapons as they are always accessible and very durable and they never break or jam and one of the major advantages of the kubotan is that it is mostly legal in most of the metropolitans being just a piece of metal. However in some situations kubotans also have their limitations as every other weapon and they are not the ultimate solution to every situation. Being a close quarter weapon, Kubotans are not going to work against a gun or a fast knife attack. The main kubotan use is for self defense in street fights against one ore more attackers, but be ware of the limitations of the tool. If you want to learn how to use a kubotan for self defense, we highly advise you to find a local kubotan instructor and take a some classes. This will help you to learn different kubotan techniques and applications. 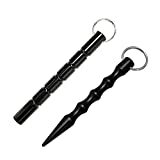 Generally speaking kubotan stick techniques can be also used to defend against known types of attacks like choking, wrist grabs etc and can also be used combatively when the situation requires to highly punish your attacker. In other words, the amount of force is easily adapted to the situation. Kubotans are also specially effective for a woman self defense because they are easy to carry, conceal and very efficient force multiplier for a small woman. It can also be used lethally and non-lethally as required by the type of the attack. They simply work as long as you are able to move your hands. The kubotan has many different uses and applications; it can be used for control,joint locking, trapping and striking against soft tissue and bony targets and nerve pressure points. For example they are usually used by bouncers or law enforcement personnel to control and constrain a person. Kubotan techniques are commnly applied against targets like the eyes, groin, joints, or any pressure point. Below is a kubotan strike chart and targets diagram. But; does kubotan really work, you might ask. The answer to this questions is that kubotan moves are very effective as they are built on the natural human reflexis when striking and defending one’s self with bare hands but they ofer the added advantage of using the kubotan to maximize the force delivering those strikes. 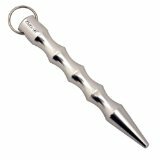 The Kubotan keyring is made of any type of solid materials such as wood or metal and they come in different common forms, there are the spike, plunt, and flat ended ones. 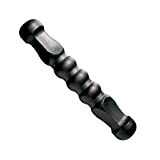 There are also kubotan knives, ,hollow kubotans, kubotan flashlights and kubotan pens also known as tactical pens. More or less all of them can be used the same way with some differences as needed by the technique. Before picking up your keychain, always make sure to check the local state regulations because some of these kubotan keychains are illegal to carry around. As already said, it’s always recommended to attend a class and train with real instructor but for those who can’t find or afford going to a class, There are dozens of free kubotan videos on youtube teaching some basic techniques and they are easy to learn in short time, there are also some kubotan DVDs available for sale, I will be posting my reviews for some of them shortly in different posts. You can find more details on our Kubotan training pages where we discuss training methods and gears. Our final advice is that you have to keep doing your kubotan training and practice regularly even if you had a class or two to build the ability to use it instinctively when needed and never forget to refer to the local self defense laws to know the boundaries. Here are some videos that will help you get the feeling of how the Kubaton is used for self defense to stop an attacker or to allow yourself enough time to escape. In the video below, there are some kubaton techniques against a variety of holds, these are for controlling an attacker to deescalate and restrain your attacker . Lastly, We believe the kubotan keychain is such an effective tool. In this article we had a brief overview about the use of kubotans for self defense, we also touched on the targets and techniques applied against an attacker and the importance of realistic training in order to be able to use the weapon effectively, You might also want to browse different pages on the site for in-depth discussions for each of these topics.